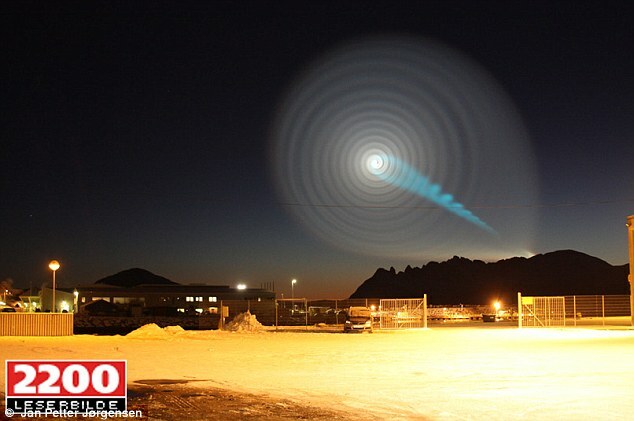 Early morning the 9th of December 2009 a mysterious light phenomena of what looked like a spinning spiral was seen in the sky of northern Norway. The phenomenon, which lasted for a couple of minutes, was filmed by many and photographed by even more. The Meteorological Institute in Norway was contacted by thousands of wondering Norwegians, and the phenomenon was reported about and discussed in media all over the world. The two main interpretations was that it was a UFO- phenomenon of some sort, or a failed test shooting of a Russian missile (which later became the official explanation in many news reports). They look very much like humans, but taller. They are tall, handsome, proud, respectable and emanate enormous dignity, integrity, honor and strength. They have long hair, both males and females, as a symbol of their strength. The hair reaches far down on their backs and is arranged in different imaginative hairdos. They have pale skin and blondish hair with strains of dark brown and gray in different shades. The leader of the civilisation shows himself. He is tall, solid, and broad-shouldered. He wears a long simple vanilla white caftan that reaches down to his feet. It has a round neck and a he wears a rope around his waist and across his chest as a symbol for his leadership. The caftan is sewn of a soft, pliable cloth of high quality. He has big gray-blueish intensive eyes that are completely present in the now, and with a full focus. He has high cheekbones and no beard. Despite his marked male traits he also emanates a soft femininity. He is totally present in the now. He starts speaking with a deep gentle voice. My name is Dibarak, and I am coming from a civilization called "The Invincibles". We are a great warrior people, known for our courage, strength and spiritual power. The wars and the fighting we have long ago left behind us, and today we are spiritual warriors in the service of the highest good. Our main purpose today as an ascended civilization is to help other civilizations on their way towards spiritual transformation and ascendence. -Where is your planet localized? -Does "ascended civilization" imply that you are non-physical? Yes, that is correct, even if we earlier existed in physical form. We have actually met in person when you [Maria and Manne] lived in this part of the cosmos in a previous incarnation, and we have had a very beneficial cooperation. -In which dimension do you reside? We are multidimensional, which means that we don't reside in any specific dimension. Our civilization has had a long history of wars, hardship and unspeakable suffering, and we have gone through very hard times and difficult experiences on our way towards spiritual transcendence and enlightenment. There was a time when our fighting, pride and unreasonable attitude almost blew our civilization to pieces. But we rose out of the ruins of a great war that almost destroyed all of our planet, to create a new world in the spirit of love. Our spiritual awakening happened very abruptly and was filled with conflicts and suffering. It was a question of the survival of our civilization. In a short period of time we had to travel a very long way on our spiritual journey and go through big spiritual transformations to reach the level of consciousness we needed to create a new peaceful civilization on our planet. We understand and sympathize with the enormous pain and the great challenges that humanity is going through today. We recognize ourself in the way many human beings bang their heads bloody against the wall without any apparent signs of development. You don't see the intolerable situation of your race, and that you are literally killing yourself. Your blindness and selfdestructiveness reminds very much of our previous behavior and what we went through before the Great War that almost wiped out all life forms on our planet. We come to you with a message of peace and freedom. We come to you with love in our hearts. We understand and empathize with your situation and your blindness. We want to ask you to look beyond the illusions of daily struggle and to see what is happening on your planet. Just like we once were, you are now about to kill yourself as a race. You are in the eleventh hour, where major changes have to take place to stop this development that leads straight towards a future disaster. Do not despair, it is not too late! You still have the possibility to stop this process, create change, and choose a new way just like we did. You are a grand race, creators of your own destiny. You have access to the force and the light to create your own future, but you have to start opening your eyes and acknowledge your own capacity and your own greatness. You are not victims of outer circumstances being forced upon you. Just the way you have created the situation that you are now in, you can choose a different way. Instead of lack, greed and conflict thinking you can choose a way of love, peace and harmony. All development happens in the form of spirals, and you have to go full circle to move to the next level. But when the leap does happen it goes very fast. You are now about to take one of these deciding leaps in the development of your consciousness where you have to learn to leave your fighting and dualism behind you, to reach oneness thinking. This critical leap must happen quick, the cosmic clock is ticking and you are right now in a transition stage to the new age, where powerful energies gradually are flowing with increasing strength over your planet, changing the conditions of life on earth. We are reaching out our hand to you from the higher dimensions, and we have sent you a greeting in your physical threedimensional world. A greeting in form of light, color and form. This is to welcome you into the cosmic communion. The cosmic quarantine that earth has been under for a very long time is finally to be lifted. You will notice this through an increasing presence of extraterrestrial civilizations on and around the earth. This process has already begun, and during the year to come you will see a further escalation. The light projection we created for you symbolizes your spiritual development as a spiral, and that you are now in a deciding moment where you take a leap towards the next level of consciousness. The blue color symbolizes intuition and creativity, and we want to inspire you all to open up your intuition and to free your creativity since you have an enormous potential as divine co-creators of your own reality. We want to encourage you to open up to the healing powers of colors, forms and light. -Why did you choose Norway? The energy conditions were right. There was also a thought behind doing it simultaneously as Obama was visiting Norway to recieve the Peace Price, and that it was near the climate negotiations in Denmark. Humanity is making many important decisions right now and we want to inspire you. -So it was a light projection that people saw, not an actual space craft? Yes, it was a light projection from another dimension. It's like crop circles, which are made by ascended civilizations. They perform the creation of the crop circles by reaching you from another dimension, and not by being present physically. But other civilizations will visit you in physical crafts. -Was it you that also created the strong orange and white light flashes outside our apartment, that lit up the whole backyard the other night? -Do the colors you used on our backyard symbolize anything? We used the lights and colors that were already present on the spot [for example the orange lights from the lampposts] and multiplied the intensity of the light to create the flashes. It's also us who have created similar light phenomena outside of your apartment at earlier occasions, to show you that we are present with you. Do know that the human race are not alone in the cosmos and that there are many other civilizations at your service helping you in the challenges you are now facing. Countless civilizations in cosmos are now following the earth in this critical moment. Since we have gone through a similar process, we feel that we have lot of experience to share. We will gladly assist you in the different ways you need. But do know that you have to take responsibility for your spiritual development yourselves. That task can not be handed over to anyone else. Beloved humans, it is time for you to wake up, to drowsily sit up in bed and look around you to realize what kind of world you have created for yourselves. There is no natural law saying that life has to consist of struggle, conflicts and hardship. It's possible to create a world of abundance and love, where everyone have their needs met according to the highest good. You all belong together. You are all parts of the same whole, and every missing link in the great cosmic web affects the whole. It's not until you reach the insight of this cosmic wisdom that all is one and build your civilization according to this principle that you are able to create a world of true abundance of love, creativity, material convenience and technological advancement. To survive in this new world that is coming into existence, it will not be possible to live according to the out-dated mindset of conflict and lack. When you are entering this new age, a new energy reality will come into existence in which the cosmic laws of like attracts like will manifest faster and more powerful than you are used to. We are referring to the law of cause and effect which imply that what you send out is what you recieve. This means that greed and conflict thinking will be met with the same energies. The only possibility for humanity to survive in this new energy reality is to choose the way of love, to live with open heart chakras and to become one with the cosmic flow of love. The way of love is the only way for humanity's survival. One thing we ask ourselves is why you have turned away from Gaia's [earth's] inner healing energies. You are standing on a goldmine that you have forgotten about, and even let it be weakened and almost fade away completely. The life force coming from inside Gaia is a condition for all life forms on earth, and without Gaia's inner energies you can not reach spiritual transformation! The life force inside Gaia helps you expanding your consciousness and reaching the insights and the energy levels needed to choose the way of love into your future. Your earth is suffering, and she needs your help! She goes through tremendous pain from the aggressive unbalanced technology present on the earth, and by how she is tormented every day. Gaia needs your help to rebalance her energies. Humans are fantastic channels for healing energies, both to heal yourselves and your planet. Open up your energy consciousness and let the healing energies flow through you to reach higher levels of consciousness. You need to clear your energy bodies from pollution and imbalances to reach your full potential. You are fantastic cosmic divine beings, only waiting to be awaken from your beauty sleep. But you have to take the first step yourselves, you have to wake yourselves up! Human beings have a free will and you can not be forced to do something against your will. Its up to you which decisions you make and which way you choose. We would like to give you a gift. Our gift is of a very special kind. It is not of physical nature, you can't touch it, and you can't see it with your physical eyes in your threedimensional reality. We will make a collective healing session where all members of our civilisation simultaneously will send healing to humanity and your planet. It will be a gigantic energy transmission where we give you the energies that we have and that we think you will need as a part of your process towards this important leap you are about to take. We are inviting all of you that are reached by this message to participate by making yourselves more receptive to our energies, and to link your consciousness to ours for a moment. Additionally, we will send you inner images and visions to help you visualizing the new spiritual age that you are entering as an age of love, peace and harmony. We want to encourage you to take part in this visualization of a new world on earth, since its a very powerful way to create a desired future. The energy transmission and the meditative visualization will happen during one hour, Thursday the 7th of January between 8 pm and 9 pm [CET Time Zone, use www.timeanddate.com to convert to your zone]. You are welcome to participate the full hour or just a part of it, in other words, if you only want to participate for 15 minutes, that's fine. This will be the first official collective healing session between two different civilizations in the modern history of mankind. Please spread this message to as many as possible! -Can you give us any instructions for the healing session? Prepare yourself like you are preparing for a normal meditation or energy transmission. Visualize that you are making yourself receptive for the healing and opening up your heart chakra. Visualize the new spiritual age as a world full of love, peace and harmony. Focus on being completely present in the moment during the whole session. We are hoping to create a cooperation between our civilizations to develop a lasting friendship between us, and an exchange of experiences and wisdom, as a way of gently introducing you into the cosmic communion. We would like to finish up by saying that we are always with you and we are following your development with excitement. We are very eager to help you as much as we can in this last challenging time in the passage to the new age and the new world. We are sending you our love and understanding, and always know that you have our support. Maria Bertram – spiritual guide, medium and healer - runs the Mother Earth Network together with Manne Lindberg who is responsible for information and communication. The network, which today consists of a couple of hundred members in Sweden, has as its main purpose to send distance healing (according to channelled instructions) to the earth together at every full moon. Our vision is to connect with other networks and individuals to create a global network for simultaneous healing sessions to the earth. We also teach techniques to give yourself Mother Earth-healing (referred to in the channeling), and Maria holds lectures with channelings of the Divine Consciousness combined with big healing sessions to the earth. All our activities are for free. We are cooperating with other civilizations in cosmos, masters in the spirit world, nature spirits and more, through telepathic contact. If you're interested in the network, send your e-mail address to moderjordnatverket@gmail.com and we'll send you our newsletter with information about our healing sessions to Mother Earth, and instructions how to participate and how to channel Mother Earth-healing for yourself, a very powerful tool for your spiritual development. We hope that you've been as much inspired by Dibarak's message as we have! We appreciate if you help us spreading this message to as many as possible, and feel free to publish it on websites or blogs (we'd be glad to recieve the link if you do). For those of you who are on Facebook and want to see more images, videos and discuss this message with others, Manne has created a Facebook group called A channeled message to humanity about the “UFO spiral” in Norway. If you experience anything special during the meditation on the 7th of January, we'd appreciate if you'd share your story in an e-mail to us or in the Facebook group.